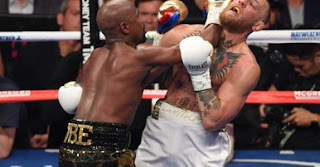 Floyd Mayweather outclassed Conor McGregor with a 10th-round stoppage to win their money-spinning superfight and clinch his 50th straight victory. Meanwhile, McGregor said they could have allowed the fight to go on, but praised Mayweather’s clinical tactical display. McGregor, 29, somehow survived a continuous hit and kick in the seventh round when a right counter from Mayweather staggered him badly. Mayweather is also expected to be around $200 million wealthier, taking his career earnings to around $1 billion. While McGregor the former unemployed plumber who broke out as star will earn himself $100 million.